Otterbein University has canceled their high school meet that was scheduled for Sunday. Please note that the Otterbein High School Qualifier #3 meet, which was scheduled for Sunday, January 20th has been canceled due to inclement weather concerns. 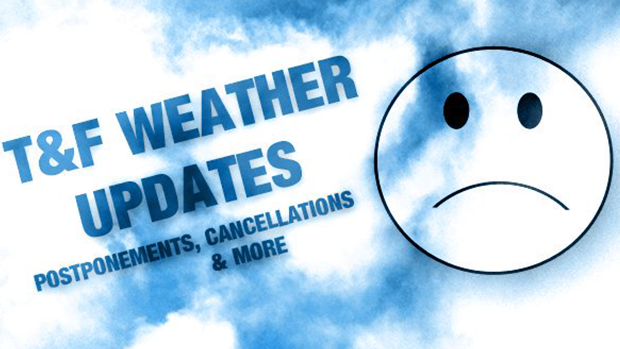 Due to the weather forecast, we have canceled the HS meet on Sunday. Our number one priority is the safety of all participants, officials, spectators, and our student-athletes who will work the meet. If you have mailed an entry fee please let me know, it will be shredded once it arrives. We look forward to seeing you all on February 10th for the Valentines Invitational.